Lacing up your running shoes or clipping into your pedals? You may want to be empowered with a superfood smoothie, chock ful of flavor and nutrient-dense ingredients. 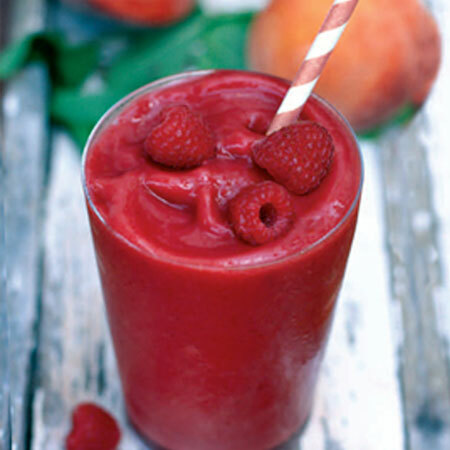 Natural food chef, Julie Morris has selected 15 superfoods rich in vitamins, minerals, antioxidants and phytochemicals and whipped them into 100 smoothie recipes in her new book, Superfood Smoothies (Sterling). Her smoothie plan includes, in this order, the base (hard, chunky ingredients like frozen fruits, nuts, seeds; bulk (soft chunky ingredients, like fresh fruits and veggies), powders, liquids, ice (can be added first or last). Try Raspberry Peach, Maqui Banana or Acai (with beet). Blend together all the ingredients except the ice, until smooth. Add the ice and blend again until frosty. Taste, and sweeten as desired. Reprinted with permission from Sterling. To see more recipes like this or view the book cover in the Bookshelf section, subscribe to Healthy Aging Magazine.